Would it be possible to create a page like my mailing list page or contact page, where my visitors can enter information, e.g. for a workshop or class? And guess what ... the simple answer is yes! Here are a few free or inexpensive online services that allow you to create and embed "Forms" on any of your web pages. This is a very flexible and relatively simple service to use that allows you to build online forms and once you've done that you can embed them into your website. This is slightly more advance service that gives you many more options. (and the free option is only good for up to 100 submissions per month.) Because JotForm is more capable/complex, it also means it can be a bit overwhelming if you just want to create a simple form ;-) That said, like Wufoo, you can also create a wide variety of forms and then embed them into your website. If you happen to use Google Drive or Docs, there is one other option using something called Google Forms. This solution is a little less "drag and drop", but if you're already using Google Docs / Drive, you may find it helpful. 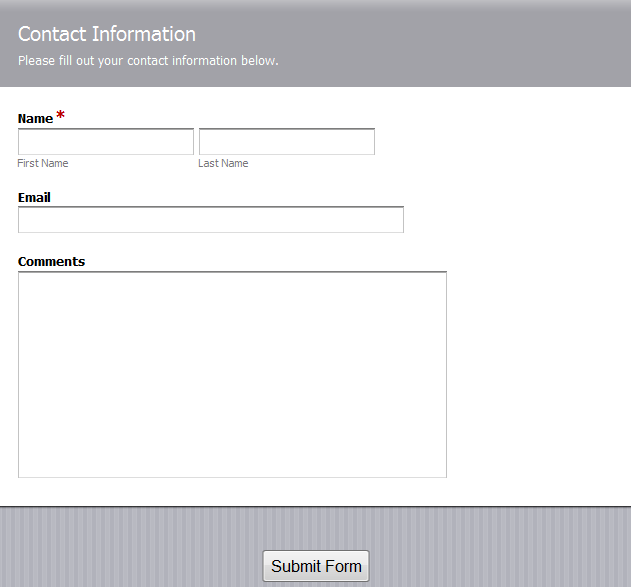 As with the other ones, once you create your Google Forms, you can easily embed them into your website. In all of the above cases, once you get / copy your form's "Embed Code", you just need to follow our General Embed Code Tutorial to insert your form onto any of your ArtSites webpages. Just so that you know, spammers LOVE online forms! So, the more forms you have on your website, the more likely you are to receive more spam. In addition to the links for the recommended services, there are also several tutorial links above.